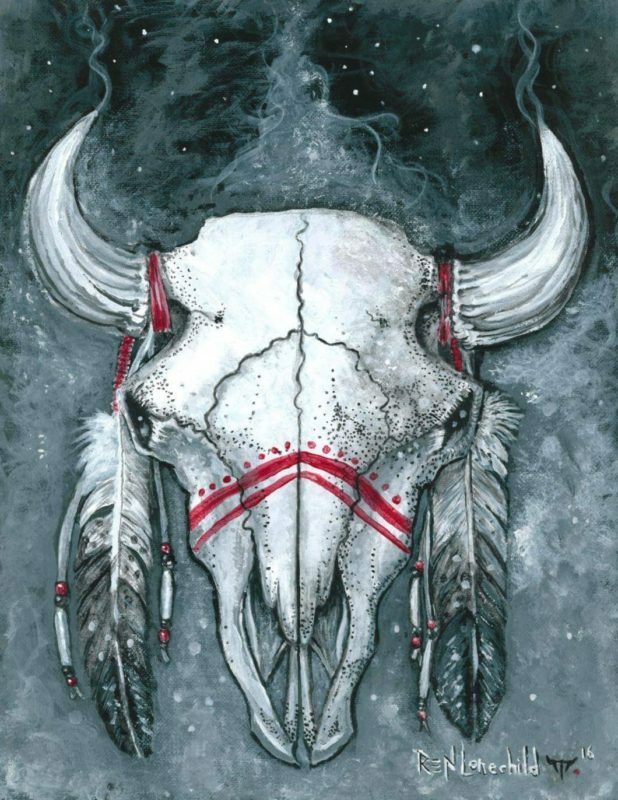 Rene Lonechild is returning to Wildewood Gallery for his first ever solo show. The eldest son of artist Michael Lonechild, Rene or “Ren” to his friends, grew up amongst art shows, galleries and in his father’s studio. Over 40 years ​he developed​ his drawing expertise, hon​ing​ his technique. He was a comic book fan in his youth. He’d re-​sketch the images he saw. A few short weeks later, the Plains Cree artist from White Bear Reservation in Saskatchewan would share a gallery with experienced painter Ken Balmer. The Wildewood gallery Two Spirits showed in September of that year. Gallery co-owner Joey Shulman told Bancroft This Week Lonechild was approached by Johl Ringuette, owner and head chef of Nish Dish marketeria and catering in the months following.